Started at the tractor proving grounds, fresh out of college, in 1966 as an implement test engineer. I was transferred to the old LaCrosse plant in 1968 when engineering was "de-centralized". It had just been centralized 4 years before (another example of poor management). I left AC in 1969 when the LaCrosse plant closed, and I didn't want to transfer to LaPorte. Returned to the West Allis tractor operation in 1977 (after working for White Farm Equipment for 8 years) and became the Engineering Design Manager in 1980. 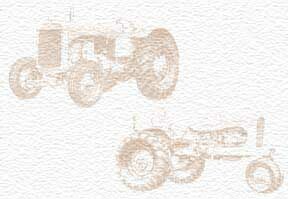 Worked on the many improvements to the "brown belly" tractors that were incorporated into the "black belly" tractors. However, I was most proud of the 8000 Series tractors that were designed during my tenure as design manager---especially the cab that was finally the size it should have been when the 7000 Series tractors first came out. I remember well some fine people I worked with including Tom Whelply, George Zach, Dave Quick, Bob Schott, Norm Swinford, Ray Dague, and Paul Freedy.